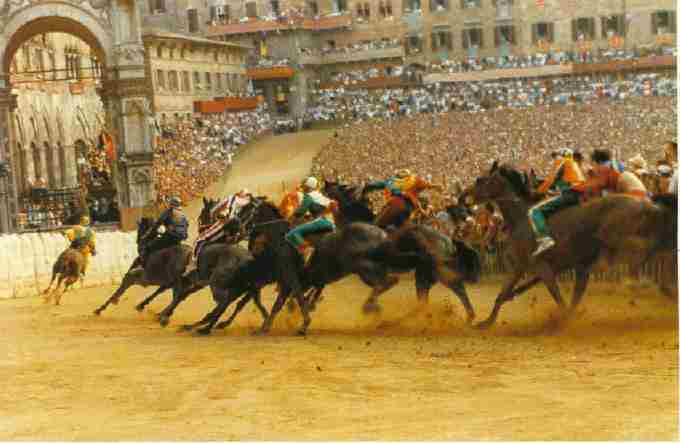 Siena is a mere 8 kilometers from the Certosa, with a daily local bus providing transportation back and forth. All participants are expected to visit the city’s museums and sites; a descriptive list of sites to see with hours and prices will be provided, and evening talks will highlight some of the most important works. 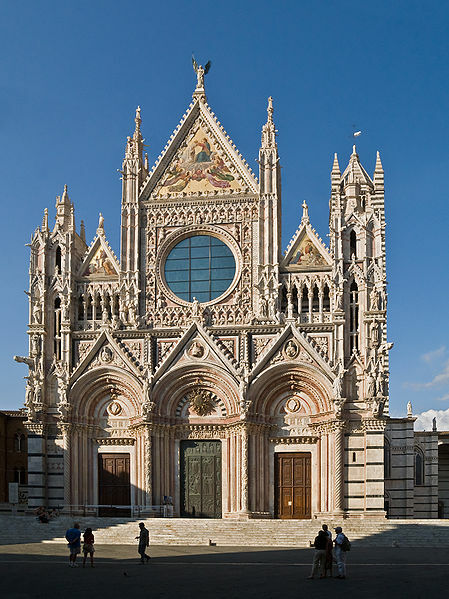 Siena’s Duomo rises in the middle of Piazza del Duomo with white and dark green marble bands along the sides, typical of the interest in color and line of the Gothic style in Siena. The façade was begun by Nicola Pisano and developed by his son Giovanni, and was then finished under the direction of Lorenzo Maitani. 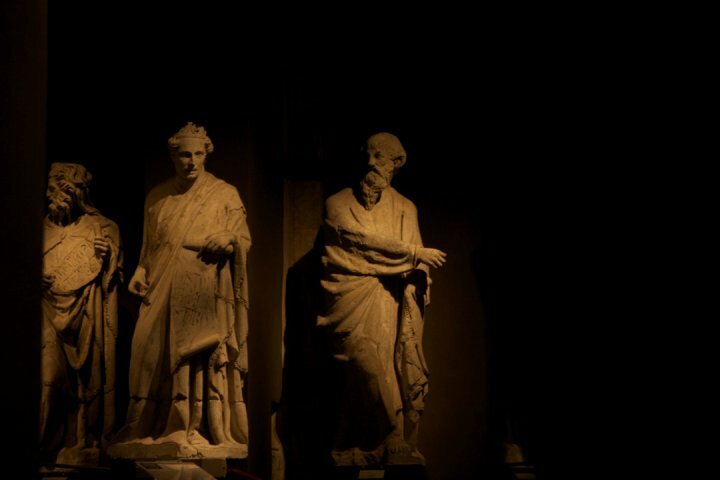 Nicola Pisano, Duccio di Buoninsegna, Antonio Federighi, Donatello, Pinturicchio, Domenico Beccafumi, Michelangelo, and Bernini are just a few of the artists who worked in the Cathedral, giving testimony to the importance of this site for artistic development. Of note is the intricately inlaid marble floor, begun in the fourteenth century by anonymous artists and finished in the nineteenth century, using the technique of graffito and marble inlay with designs prepared by painters trained in Siena, including Sassetta, Domenico di Bartolo, Matteo di Giovanni, Francesco di Giorgio Martini, and Domenico Beccafumi. In the Baptistery, of note is the baptismal font of marble, bronze and enamel, created by Lorenzo Ghiberti, Donatello, Jacopo della Quercia and Giovanni di Turino. Museo dell’Opera dell Duomo – Home of the original sculptures and paintings which once adorned the exterior and interior of the Duomo. Famous above all for its outstanding collection of marble statues of ancient prophets, sibyls, and philosophers carved by Giovanni Pisano between 1285 and 1297, and Duccio’s great altarpiece of The Virgin and Child Enthroned in Majesty, known as the “Maestà,” the museum contains other masterworks by Ambrogio Lorenzetti, Taddeo di Bartolo, Sano di Pietro, Matteo di Giovanni, and Domenico Beccafumi. 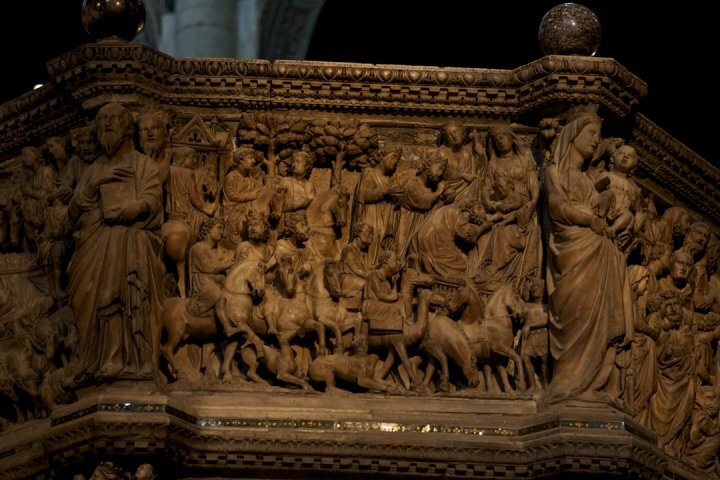 Other significant pieces in the collection are wooden sculptures by Francesco di Valdambrino, Jacopo della Quercia, and Francesco di Giorgio Martini. 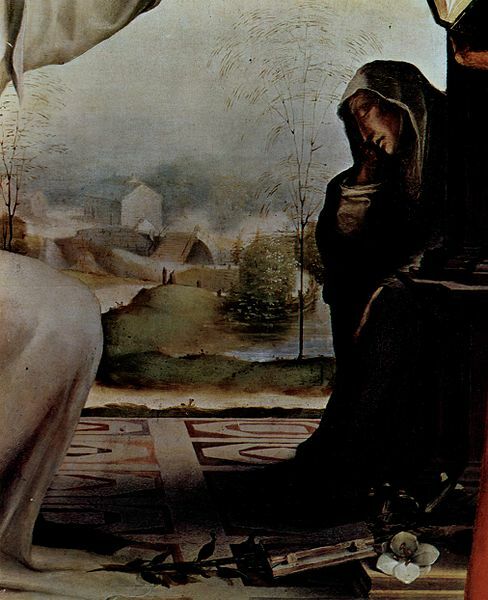 Pinacoteca Nazionale – This collection holds numerous treasures of Sienese painting, including Duccio, Pietro and Ambrogio Lorenzetti, Simone Martini, Sassetta, Domenico Beccafumi and Lorenzo Lotto. Of particular note is the room dedicated to the astounding and immense drawings in plaster by Beccafumi; a request is in process to allow students access for sketching in the museum. Via San Pietro, 29. Open Mondays, 9 – 13:00, Tuesdays-Saturdays, 10 – 18:00. 4 euros. 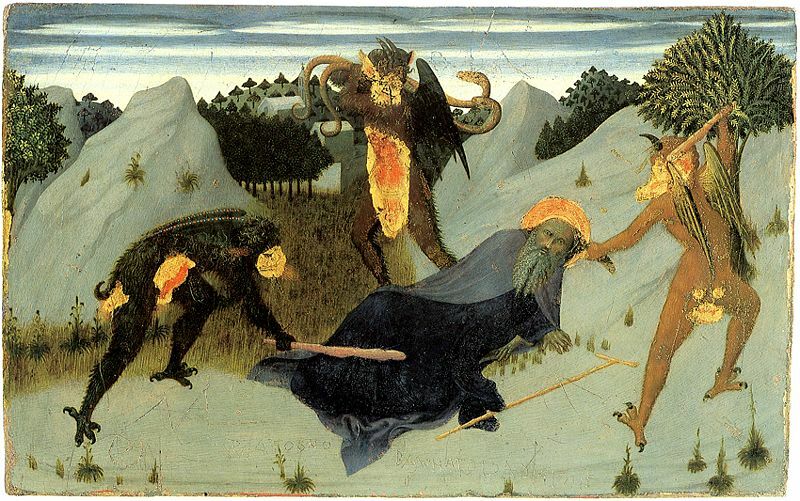 Click here to download the PDF version of the Pinacoteca Brochure. Museo Civico – The city museum of Siena, this museum holds some finest frescos of the Sienese School of political importance. 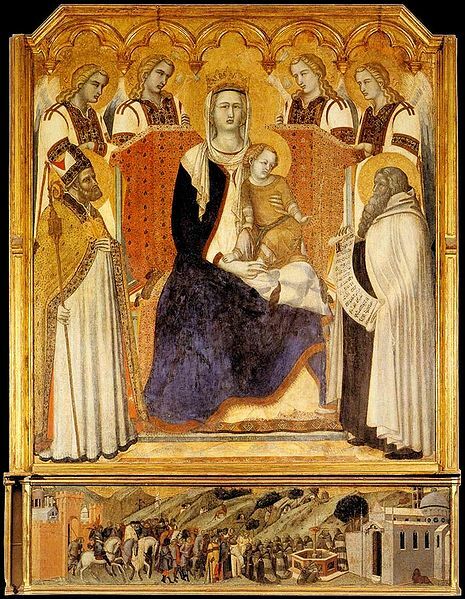 Of note, the Maesta fresco by Simone Martini, the Allegory of Good and Bad Government fresco cycle by Ambrogio Lorenzetti, the Virtues of Illustrious Men and Gods fresco cycle by Taddeo di Bartolo, and ceiling frescos by Domenico Beccafumi. Entrance from the courtyard of Palazzo Pubblico, Open 10:00-19:00, entrance 8 euros. Santa Maria della Scala Museum Complex – Spread over 4 floors, this former hospital is now a museum housing several halls and special exhibitions, most recently Da Jacopo della Quercia a Donatello. 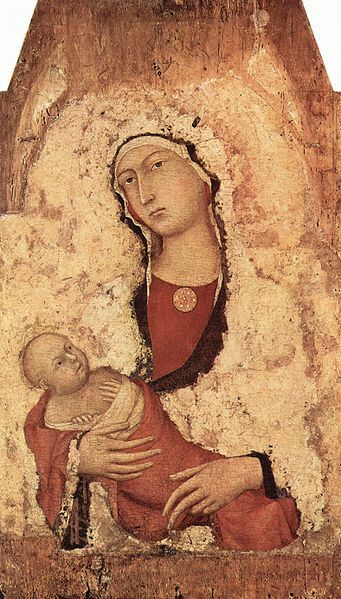 Numerous Sienese artists completed works here, such as Ambrogio and Pietro Lorenzetti, Simone Martini, Jacopo della Quercia, and Sebastiano del Conca. Piazza Duomo, 1 (right across from the Duomo). Open daily from 10:30-18:30. Entrance 6 euros.